A roomy cabin and trunk make the 2009 Hyundai Elantra feel bigger than its compact size, while solid handling, a quality build, and a long-term powertrain warranty should make its competitors nervous. Its engine power feels lackluster in anything but city driving, and high-speed acceleration increases the level of engine noise in the '09 Elantra. 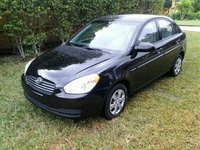 With its affordable price, Hyundai's 2009 Elantra easily fills the role of first-time car or economy commuter. And a cheap pricetag no longer means cheap engineering, as this compact sedan offers a good blend of solid road handling, passenger comfort, and utilitarian space. Only its engine noise will remind you that the Elantra resides in the budget compact category. Named the Best Compact Car for the Money by U.S. News and World Report, the 2009 Hyundai Elantra seems to get better every year and proves to be a formidable competitor to the long-reigning Honda Civic and Toyota Corolla. The front-wheel-drive sedan gets a slightly tweaked suspension for 2009, along with larger displays for the audio system and a new iPod jack in the upper-level SE (optional in the GLS). The '09 Elantra comes in base GLS and SE trims, each sharing the same four-cylinder engine, high-ranking safety scores, and budget-oriented fuel efficiency. Though no luxury sedan, the compact features a nice array of bells and whistles for its economy pricetag, such as leather trim, wheel-mounted audio controls, and a CD player with satellite radio. The Korean automaker continues to offer its outstanding 10-year/100,000-mile powertrain warranty, which seems to grow less and less necessary each year, as the Elantra consistently improves its quality engineering, interior refinement, and driving dynamics. Once considered a minor player in the dependable sedan market, the Elantra has emerged as a major competitor to the old Japanese stalwarts in terms of pricing, build, interior space and comfort, and reliability. It works competently as a fuel-efficient commuter car that also gets you where you need to go in style and comfort. Powered by a 16-valve, 2.0-liter DOHC inline-four engine, the '09 Elantra delivers 138 hp and 136 lb-ft of torque at 4,600 RPM. Its variable valve timing helps reduce emissions and improve fuel economy, which measures 24/33 mpg, with an average of 26. A five-speed manual comes standard, with the option to replace it with a four-speed automatic. Both transmissions receive good reports from test drivers, who call them smooth, precise, and relatively quick. The '09 Elantra won't break any land-speed records with its 0-60 time of just under 9 seconds, but it performs adequately around town, proving an able commuter car. Acceleration does elicit some engine whine. The '09 Elantra gets commuters from point A to point B with relative ease and smoothness, offering good bump absorption and minimal body lean for an economy compact sedan. Though the Elantra shares a Macpherson strut front and multilink rear suspension with other compacts in its class, one critic claims its sturdy build delivers a more comfortable and balanced ride overall, despite some of the typical float and sway found in most compact sedans. Test drives reveal strong and responsive brakes and dependable road grip from both the 15- and 16-inch tires. Like most budget cars, the '09 Elantra does exhibit some understeer, which the SE's electronic stability control helps to minimize. The electronic power steering generally responds well, but does feel too light and vague in non-city driving. 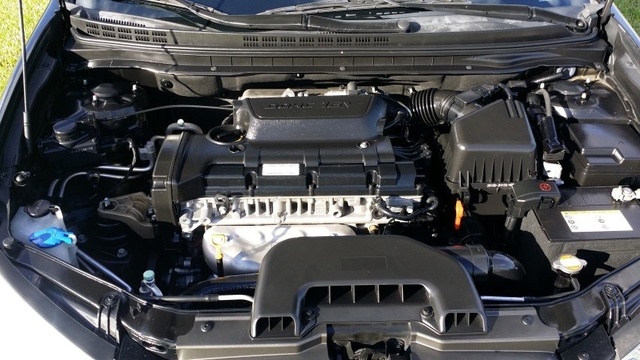 Engine noise starts to intrude at high RPMs, and some drivers report minor road noise. The compact sedan offers plenty of room for drivers, with more than 43.5 inches for legs and 40 inches in height. Even back-seat passengers don't get too slighted, with 35 inches of legroom and nearly 38 of headroom. Tall adults may feel a bit hemmed in on long rides, and entry and exit might feel tight, but most owners find the Elantra's cabin surprisingly spacious for a compact. The trend continues to the trunk, whose 14.2 cubic feet remain the largest in this class. However, its small opening hampers loading and unloading. A cargo tray and net can be added as options. Rear seats do split-fold 60/40, but do not fold flat and can get in the way when trying to store larger objects. A folding armrest doubles as a pass-through to the trunk. The storage utility continues into the cabin, where the front armrest holds a dual-level compartment, and various seat and door pockets and an overhead console provide extra space. Both trims feature manual height adjustment for the driver's seat, and the base GLS offers a tilt steering wheel, while the SE tacks on a telescoping function. Critics find the controls large and legible, and the chrome accents and blue backlighting give the dash a slightly upscale feel. Though plastics reign in the compact market, the Elantra's don't look cheap to reviewers, who also praise the use of soft-touch materials and call the cloth seats comfortable and supportive. In general, critics come away impressed with the quality build and interior refinement of the '09 Elantra's cabin. Aimed at the budget buyer, the GLS trim features power windows, locks, and mirrors, remote entry, and a tachometer and clock, but unfortunately lack air-conditioning, a CD player, and cruise control. These last three items are offered as options, but come standard on the SE, which also adds wheel-mounted audio controls, leather trim on the steering wheel and shifter, a trip computer, and a 6-speaker sound system with a CD/MP3 player, satellite radio, and a USB connection. Bluetooth is available, and a sunroof, leather upholstery, and heated seats come with the Premium Sport package. The Insurance Institute gives the '09 Elantra its top Good rating for safety, and in NHTSA tests the sedan scores five stars for frontal impact and four stars in side impact and rollovers. Both the SE and GLS trims feature four-wheel disc and ABS brakes, supplemented by electronic brakeforce distribution. The dual front-side airbags come with passenger deactivation, and side curtain airbags are standard in both rows. Front passengers also get active head restraints to diminish the effects of whiplash. Moving up to the SE trim adds foglights, standard traction and stability control, and emergency brake assist for better road grip, balance, and stopping power. Both the 15-inch wheels on the GLS and the 16-inch ones on the SE come with a tire pressure monitor. Its outstanding fuel economy earns the most praise from owners of the 2009 Elantra, but the high-quality fit and finish of the cabin come as a nice surprise to those who expect less from a compact sedan. While a few say the plastics look cheap and rattle too much, most owners find the cabin well-laid out, comfortable, and amazingly roomy for its class. The result, say some drivers, is that the Elantra looks more expensive than its pricetag claims. A good list of standard features and the powertrain warranty also earn high marks, as do its superior safety ratings, storage capacity, and overall styling inside and out. Apart from some intrusive road noise, owners of the '09 Elantra find few faults with their compact sedan. No CarGurus owners have spoken their mind yet, but the almost identical 2008 Elantra scores well in the cabin department as well, garnering praise for its nice interior style and roominess compared to many of its compact rivals. High fuel efficiency complements its easy handling and good build quality, according to several owners, and the 10-year/100,000-mile powertrain warranty continues to attract economy-minded drivers. What's your take on the 2009 Hyundai Elantra? eeh1961 I am very impressed with the Elantra we just purchased. 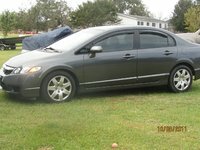 We only paid $5000.00 and it has 103k for mileage. It drives like new with brand new "sneakers" and absorbs the frost heaves better than our Jeep Liberty. While the interior is rather Spartan it still isn't unpleasant. The quality of construction is also impressive as it feels solid like a much more expensive vehicle. Only time will tell however at this point we are very satisfied with our purchase as we really did get a good deal on this one. Hooray for the little guys for once!!! 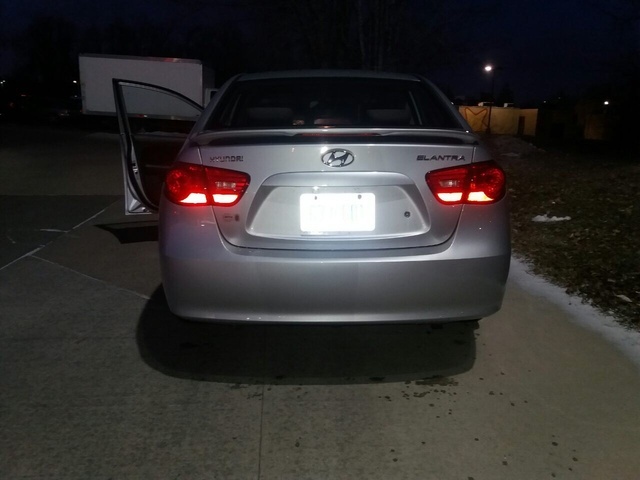 Have you driven a 2009 Hyundai Elantra? Every single time I put gas in it It won’t start unless i press on the gas first. Helpppp. Is this a serious problem that I should get looked at ASAP. Could it lead to other issues? Ground Wire In Fuse Box.